Home / Technical Articles / What is the difference between Bonding, Grounding and Earthing? One of the most misunderstood and confused concept is difference between Bonding, Grounding and Earthing. 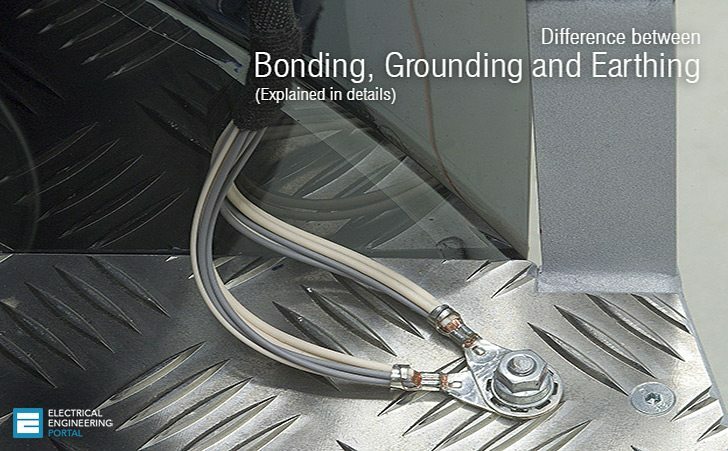 Bonding is more clear word compare to Grounding and Earthing, but there is a micro difference between Grounding and Earhing. Earthing and Grounding are actually different terms for expressing the same concept. We understand that Earthing and Grounding are necessary and have an idea how to do it but we don’t have crystal clear concept for that. We need to understand that there are really two separate things we are doing for same purpose that we call Grounding or Earthing. The Earthing is to reference our electrical source to earth (usually via connection to some kind of rod driven into the earth or some other metal that has direct contact with the earth). The grounded circuits of machines need to have an effective return path from the machines to the power source in order to function properly (Here by Neutral Circuit). In addition, non-current-carrying metallic components in a System, such as equipment cabinets, enclosures, and structural steel, need to be electrically interconnected and earthed properly so voltage potential cannot exist between them. However, troubles can arise when terms like “bonding”, “grounding”, and “earthing” are interchanged or confused in certain situations. In TN Type Power Distribution System, in US NEC (and possibly other) usage: Equipment is earthed to pass fault Current and to trip the protective device without electrifying the device enclosure. Neutral is the current return path for phase. 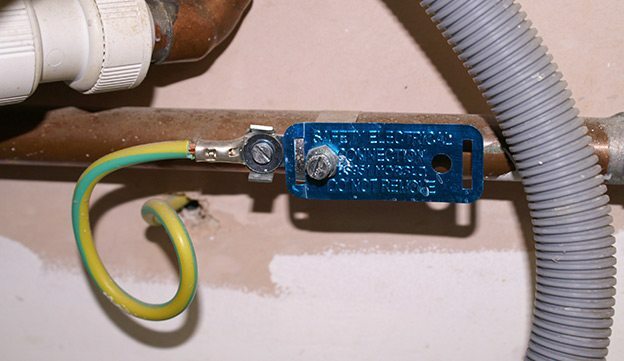 These Earthing conductor and Neutral conductor are connected together and earthed at the distribution panel and also at the street, but the intent is that no current flow on earthed ground, except during momentary fault conditions. Here we may say that Earthing and grounding are nearly same by practice. But In the TT Type Power Distribution System (in India) Neutral is only earthed (here it is actually called Grounding) at distribution source (at distribution transformer) and Four wires (Neutral and Three Phase) are distributed to consumer. While at consumer side all electrical equipment body are connected and earthed at consumer premises (here it is called Earthing). Consumer has no any permission to mix Neutral with earth at his premises here earthing and grounding is the different by practice. In both above case Earthing and Grounding are used for the same Purpose. Let’s try to understand this terminology one by one. Bonding is simply the act of joining two electrical conductors together. These may be two wires, a wire and a pipe, or these may be two Equipments. Bonding has to be done by connecting of all the metal parts that are not supposed to be carrying current during normal operations to bringing them to the same electrical potential. Bonding ensures that these two things which are bonded will be at the same electrical potential. That means we would not get electricity building up in one equipment or between two different equipment. No current flow can take place between two bonded bodies because they have the same potential. Bonding itself, does not protect anything. However, if one of those boxes is earthed there can be no electrical energy build-up. If the grounded box is bonded to the other box, the other box is also at zero electrical potential. It protects equipment and person by reducing current flow between pieces of equipment at different potentials. The primary reason for bonding is personnel safety, so someone touching two pieces of equipment at the same time does not receive a shock by becoming the path of equalization if they happen to be at different potentials. The Second reason has to do with what happens if Phase conductor may be touched an external metal part. The bonding helps to create a low impedance path back to the source. This will force a large current to flow, which in turn will cause the breaker to trip. In other words, bonding is there to allow a breaker to trip and thereby to terminate a fault. Bonding to electrical earth is used extensively to ensure that all conductors (person, surface and product) are at the same electrical potential. When all conductors are at the same potential no discharge can occur. Earthing means connecting the dead part (it means the part which does not carries current under normal condition) to the earth for example electrical equipment’s frames, enclosures, supports etc. The purpose of earthing is to minimize the risk of receiving an electric shock if touching metal parts when a fault is present. Generally green wire is used for this as a nomenclature. Under fault conditions the non-current carrying metal parts of an electrical installation such as frames, enclosures, supports, fencing etc. may attain high potential with respect to ground so that any person or stray animal touching these or approaching these will be subjected to potential difference which may result in the flow of a current through the body of the person or the animal of such a value as may prove fatal. To avoid this non-current carrying metal parts of the electrical system are connected to the general mass of earth by means of an earthing system comprising of earth conductors to conduct the fault currents safely to the ground. Earthing has been accomplished through bonding of a metallic system to earth. It is normally achieved by inserting ground rods or other electrodes deep inside earth. Earthing is to ensure safety or Protection of electrical equipment and Human by discharging the electrical energy to the earth. Grounding means connecting the live part (it means the part which carries current under normal condition) to the earth for example neutral of power transformer. It is done for the protections of power system equipment and to provide an effective return path from the machine to the power source. For example grounding of neutral point of a star connected transformer. Grounding refers the current carrying part of the system such as neutral (of the transformer or generator). Because of lightening, line surges or unintentional contact with other high voltage lines, dangerously high voltages can develop in the electrical distribution system wires. Grounding provides a safe, alternate path around the electrical system of your house thus minimizing damage from such occurrences. Generally Black wire is used for this as a nomenclature. All electrical/electronic circuits (AC & DC) need a reference potential (zero volts) which is called ground in order to make possible the current flow from generator to load. Ground is May or May not be earthed. In Electrical Power distribution it is either earthed at distribution Point or at Consumer end but it is not earthed in Automobile( for instance all vehicles’ electrical circuits have ground connected to the chassis and metallic body that are insulated from earth through tires). There may exist a neutral to ground voltage due to voltage drop in the wiring, thus neutral does not necessarily have to be at ground potential. In a properly balanced system, the phase currents balance each other, so that the total neutral current is also zero. For individual systems, this is not completely possible, but we strive to come close in aggregate. This balancing allows maximum efficiency of the distribution transformer’s secondary winding. There is no major difference between earthing and Grounding, both means “Connecting an electrical circuit or device to the Earth”. This serves various purposes like to drain away unwanted currents, to provide a reference voltage for circuits needing one, to lead lightning away from delicate equipment. In USA term Grounding is used but in UK term Earthing is used. Ground is a source for unwanted currents and also as a return path for main current some times. While earthing is done not for return path but only for protection of delicate equipments. It is an alternate low resistance path for current. When we take out the neutral for a three phase unbalanced connection and send it to ground, it is called grounding. Grounding is done to balance unbalanced load. While earthing is used between the equipment and earth pit so as to avoid electrical shock and equipment damage. Earthing is to protect the circuit elements whenever high voltage is passed by thunders or by any other sources while Grounding is the common point in the circuit to maintain the voltage levels. Earth is used for the safety of the human body in fault conditions while Grounding (As neutral earth) is used for the protection of equipment. Earthing is a preventive measure while Grounding is just a return path. The ground conductor provides a return path for fault current when a phase conductor accidentally comes in contact with a grounded object. This is a safety feature of the wiring system and we would never expect to see grounding conductor current flow during normal operation. IMPORTANT: Do not Ground the neutral second time when It is grounded either at Distribution Transformer or at Main service panel of Consumer end. Grounding act as neutral. But neutral cannot act as ground. Earthing and Grounding both is refer to zero potential, but the system connected to zero potential is differ than Equipment connected to zero potential .If a neutral point of a generator or transformer is connected to zero potential then it is known as grounding. At the same time if the body of the transformer or generator is connected to zero potential then it is known as earthing. The term “Earthing means that the circuit is physically connected to the ground and it is Zero Volt Potential to the Ground (Earth) but in case of “Grounding” the circuit is not physically connected to ground, but its potential is zero(where the currents are algebraically zero) with respect to other point, which is also known as “Virtual Grounding”. Earth having zero potential whereas neutral may have some potential. That means neutral does not always have zero potential with respect to ground. In earthing we have Zero Volt potential references to the earth while in grounding we have local Zero Volt potential reference to circuit. When we connect two different Power circuits in power distribution system, we want to have the same Zero Volt reference so we connect them and grounds together. This common reference might be different from the earth potential. Neutral wire in grid connections is mandatory for safety. Imagine a person from 4th floor in a building uses Earth wire (which is earthed in the basement at Basement) as neutral to power his lights. Another Person from 2nd floor has a normal setup and uses neutral for the same purpose. Neutral wire is also earthed at the ground level (as per USA practice Neutral is Grounded (earthed) at Building and as per Indian Practice it is Grounded (earthed) at Distribution Transformer). However, ground wire (Neutral wire) has a much lower electrical resistance than Earth Wire (Earthing) which results in a difference of electrical potential (i.e. voltage) between them. This voltage is quite a hazard for anyone touching a Earth wire (Metal Body of Equipment) as it may have several tens of volts. The second issue is legality. Using ground wire instead of neutral makes you an energy thief as the meter uses only the Phase and neutral for recording your energy consumption. Many Consumers make energy theft by using Earthing wire as a Neutral wire in an Energy meter. Ground is a source for unwanted currents and also as a return path for main current. While earthing is done not for return path but only for protection of delicate equipments. It is an alternate low resistance path for current. Earth is used for the safety of the human body in fault conditions while Grounding (As neutral earth) is used for the protection of equipment. i need your help please. I have a big challenge on transformer and Main DB in my system. Transformer is well earthed with the reading 0.4Ohm without Main DB connected. When Main DB connected the readings change to 3Ohm. Would you please assist how it can be improved? the system earth reading expecting to get less than 1Ohm. i connect the base of a 3phase diesel genset together with its neutral to the neutral of the step-up tranformer then connect it to the tranformer grounding then connect it to the the grounding rod buried 6ft. You said that Ground is source of unwanted current.How? Does the Equipotantioal bonding require separate earth pit.? Hello Sir, i would like to ask a question. my country electrical code most of them are copied or similar from NEC thr american standard. well the problem is in my work i have notice that europeans always bashing american electrical standards and they will laughing at it and they will said one of the poorest standard.most of the jobs are confuse me.but in my experience if im compare who has the better method or the work outputs i would say NEC is telling the correct method rather than IEC. As you are working on transmission line, I would like to know how to over come the lightning stokes on 33KV OHL with porcelain insulators.Is there any method to limit the failure of insulators. > Generally Black wire is used for this as a nomenclature. This statement should not be used in any article published in the USA. Black wires in your house are at 115V potential. The novice reader may become confused when you speak of Black wires and ground. your definition about differences between earthing & Grounding is Totally wrong. Both of them have same meaning. During the material receiving of industrial lighting fixture, indoor and outdoor, The lighting fixture was are totally in wet conditions happened during transportation or in custom storage. I would like to know the technical reason, can we use the lighting fixture yes or no, please let me know the reason. I am waiting for your kind responce. dry it out and check insulation resistance, it can be installed after that. What do you think about grounding’s health effects on the body? Is it safe to be grounded? Is there any possibility of danger from touching a grounding wire? Is grounding wire a requirement even for the light fittings which has got metal to metal contact with the ships structure. Let me firstly thank Engr. 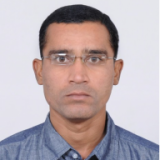 Jignesh Parmar. Then, how best can we sum up single phase loads (say 30 x 150W SPN @ 220V) in a TPN @ 400V Distribution Board for the purpose of calculating/determining TPN DB”s main CB and its 4-Core feeder Cable? Jignesh Parmar! Your articles make a difference for the people following this site. Thank you for your contributions. 1.Differ the earth connection to main earth grid via by exothermic welding and normal earth connection. 2.We are having more tanks and vessels and pumps on it earthing all via Earth bar is better or direct connection to earth grid is better. why do always keep 6 mt separate distance between earth pits??? Please see our patented high voltage protection VoltCare. VoltCare is a Low voltage lightning arrester without discharge grounding line. You can find more details on http://www.voltcare.net . i have a question which software we can use for designing earthing system. if you have any please share at portal also help to understand the designing parameters for earthing of a system. After going through the article, I find there is non-congruence in the three terms.grounding,earthing and bonding.If grounding is not done then earthing becomes bonding! Is it right? Through earthing and bonding fault current will flow? What is the purpose of grounding and grounding electrodes if we provide an earth bus from the neutral point to all the enclosures through out the system? Which is a more effective way for substation earthing? I work in a plant were all the old substations have earth pits but most of the morden ones multiple earth rods around the substation. I am new in the field. Which one is a much better my arrangement? The terms grounding and bonding have been misused for may years in the US. The problem has been addressed by the NEC to clarify it. In the US the grounding of the electrical system is accomplished at two point, at the source transformer, (neutral point on a 3-phase wye connected winding or at the midpoint of a single-phase transformer for local distribution and at the first disconnecting device at the customer’s premise. The earth ground is connected to a ground rod or other grounding electrode and then it is tied to the grounded conductor (neutral) in the first disconnecting device. This is done to accomplish two things, one to provide a low impedance path back to the source for unbalanced and fault currents and in the event the grounded conductor opens prior to the first disconnecting device the path still exists through ground to return to the source. The bonding of all non-current carrying metallic parts provides a low impedance path to the first disconnecting device to provide sufficient current to operate the OCPD and to connect to the grounded conductor (neutral) to return to the source. The use of earth as the sole means for fault current return may not allow sufficient current to flow as the impedance can vary greatly between tow points. The impedance of the earth can vary with the moisture content, the type of soil (sand, loam, gravel) and temperature. The temperature and moisture can vary with the changes in seasons. it can therefore provide an inconsistent impedance between the fault and the source. The article does clarify the differences between the North American and European methods and clarifies the terms used in each except as noted above. Edi – With all due respect, there are many technical errors with respect to grounding practices in the USA, etc. I would be happy to offer comment & corrections if either you or Jiguparmar would send me an unsecured PDF of this article that I could edit with Adobe Acrobat 8 Standard. Thanks for the commenting. Can you name mistakes one by one here in the comment field? Article is already published, so editing is not very recommended, but still possible only with permission of author Jignesh Parmar. However you can create PDF using button PDF below article title. I’d love to see your comments to continue the discussion. At some angle agree with You. As per my view, As per USA practice Grounding and Earthing make combined so Can we say that for this type of Practice Earthing and Grounding are similar word for that. and I think there is no problem of Neutral Floating in this practice . I write this Article on the base of Indian Practice here Earthing and Grounding is totally separate from its source to user end and don’t mix neutral with earth. Can you agree for the statement that Neutral earthing to earth is called “Grounding” and Equipment Earhitng to the earth is called “Earthing” (Not Grounding). In the sense that we are talking about using the European or IEC terminology, you are correct. In the US we only tie the neutral (grounded conducfor) to ground at the source transformer and at the customer’s first disconnecting device (in most cases). 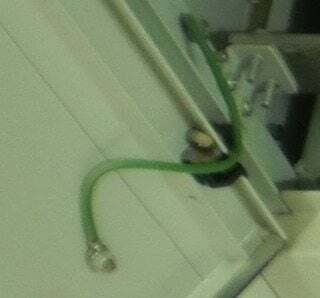 We use an equipment grounding conductor (either the connecting conduit, bare copper wire, or green or green with yellow stripe) to connect the non-current carrying metal casing to the ground bus in the first disconnect device. We normally never have more that one ground in any circuit as this would create problems with getting sufficient current to flow to operate the OCPD. There are instances were we have ungrounded wye circuits to prevent operation of the OCPD for a single phase-to-ground fault. But, the protective grounding of the equipment is stilled connected in the way described above. No difference really, both can be connected to same main earth Path. Your earthing cable must be connected to lightning down conductor and to the earth grid. Your earthing cable and that of earthing grid cable shall be of the same size.